Our teams on the ground have all it takes to help a seller connect with a buyer and both parties come out of the deal happy, having got what they want. 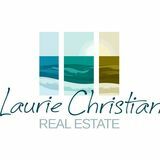 What we assure you is that the Laurie Christian team is determined to ensure that you enjoy the services. By the end of the day, we make your home selling and buying a breeze. Our communication channels are always open and easy to access. Because of this, we can guarantee that your experience will be smooth and you will get the right advice that will result in value for your money. We are also open with providing the necessary information so you know what you are doing. It is necessary to know every detail during a selling process so as to avoid unpleasant surprises along the way. 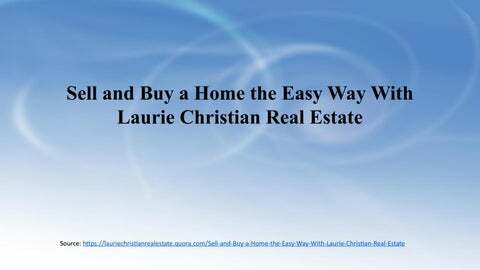 Laurie Christian Real Estate is straightforward and transparent in all endeavors. Get in touch with us through our social platforms like Laurie Christian Real Estate official account on LinkedIn plus of website. For sellers, we provide a great opportunity to showcase and market your property. This way, it gets buyers easily. We have platforms and a marketing strategy that works faster than most people might think. For buyers, we already have an inventory of homes you can choose. Depending on your budget and taste, there are many options that your family can leverage. When it comes to service fees, we offer it at affordable rates.